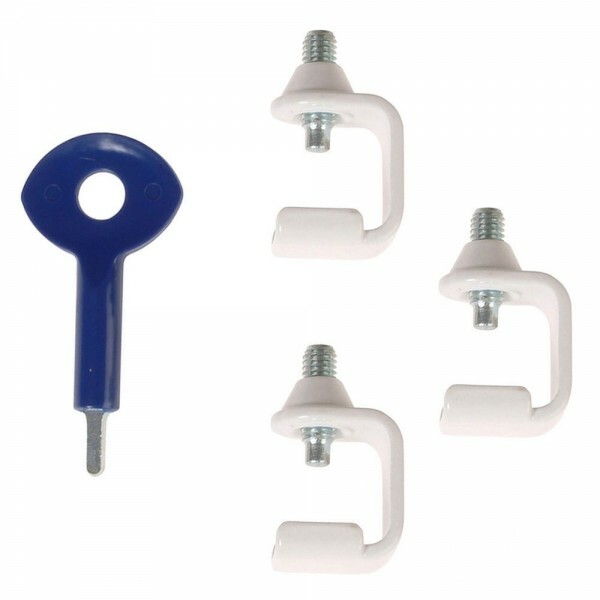 The Yale P121 window stay clamp secures the window stay to the stay bracket often used on metal fanlight (top hung) windows. It screws into the hole on the arm, preventing movement and uses a key to lock and unlock. It is easy to use and supplied with universal key. The Yale P121 window stay clamp is rated as standard security and comes with a 2 year guarantee.